Prepare for warmer weather with these older boys' printed chino shorts. 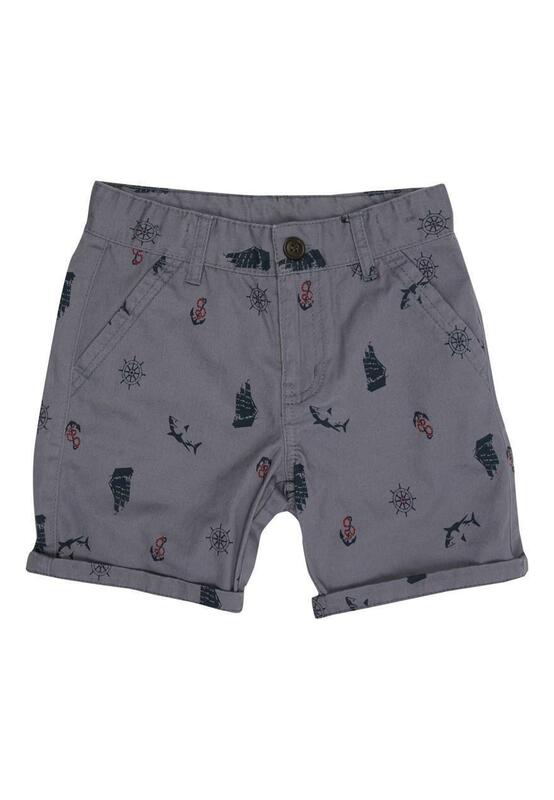 With an all over fish and anchor print, turn up hems and pockets, these chino shorts are a cool essential for holiday season. Team with one of our graphic tees for a cool dude look.